There’s more than just the writer. 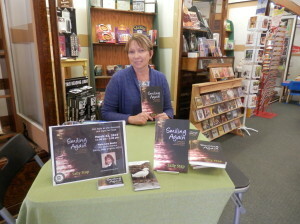 . .
My book signing yesterday went great and I was privileged to meet some of Elkins’ kind and generous people. I loved every minute. As I packed up my little chocolate basket and drove away, what I reflected on was how many people helped me get there. 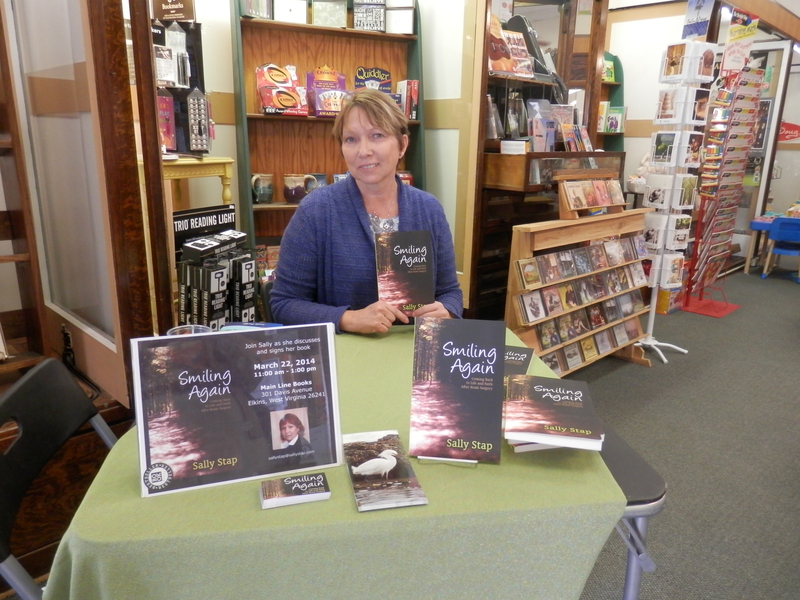 Without the support of A LOT of people, I would not have found the confidence to actually finish writing Smiling Again. By not being honest and vulnerable about my experience, I would have missed out on the stories of others. Main Line Books is an adorable bookstore that made me want to curl up on the comfy couch in the back of the store and read. Warm people who stopped in shared stories of perseverance in the face of adversity — both personally and as a caregiver. One common thread was focus on their loved ones and not themselves. People draw strength from other people. For each person who has encouraged me by completing a step in the publishing cycle, purchasing my book, giving feedback — or just sharing your personal story — I thank you. This entry was posted in Lessons Learned and tagged acoustic neuroma, Kindness, life lessons, sally stap, smiling again, surgery recovery on March 23, 2014 by sallystap.